Pam Thompson-Spinner earned a BA in American and British Literature with a minor in Dance from San Diego State University, graduating as a member of Phi Beta Kappa. She achieved 98+ plus rating at the National Piano Auditions. She also earned an MA in Education and School Counseling with single subject teaching credentials in English, Dance/PE, Psychology and Office Technology. She taught Rhythm Tap, Musical Theater and Music Theory at USIU, and also taught Intermediate and Advanced Tap at Palomar College as well as a week-long tap conference for tap teachers from Brazil in Miami, Florida. She is currently Head Guidance Counselor at Jefferson Middle School (a Fine and Performing Arts Program School), bringing the touring cast of "Bring in da Noise/ Bring in da Funk" to teach master classes to the students as well as the community. Along with her academic work, Thompson-Spinner has been an active educator in the dance community. At the Colorado Dance Festival, she taught the master class placement routines for the amazing Charles "Honi Coles". At this first International Tap Summit in Boulder, Colorado, she taught master classes including "Translating the Sound", as well as assisting her master, Eddie Brown. She was also one of the founding members of the International Tap Association. Thompson-Spinner also taught master classes at the Los Angeles and San Diego Tap Festivals. In addition to master classes, she taught at Santa Monica Dance Center, DuPree Dance Academy (now The Edge), toured and taught workshops in France, was a member of the Boulder Community Dance Collective and of Jim Taylor's company, The Rhythm Rascals and studied Body Music with Keith Terry at the Naropa Institute in Colorado. She was a U.S. Teacher Trainer for the Imperial Society of Teachers of Dance and she established and operated her own studios, La Jolla Jazz-Tap and Pacific Dance Centers, for 14 years. She continues teaching rhythm tap at Hammond Studio of Dance in Solana Beach. 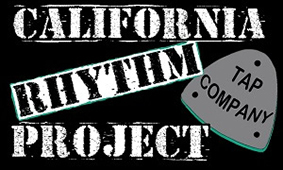 Inspired by Eddie Brown and other tap legends, Pam founded California Rhythm Project in 1996. Her primary goal was the preservation of the choreography of the great rhythm tap masters. She is still actively involved with the company as a teacher, choreographer, guide and creative inspiration.